In a bowl, sprinkle the salt and cornflour over your beef strips and ensure all the pieces of beef are coated by the cornflour. Deep fry your beef in 1-2 batches. They’ll only take a couple of minutes so keep checking them. You only need the cornflour coating to turn slightly golden to know that your beef is ready and cooked enough. Lift your beef out with a slotted spoon and drain them on your kitchen/paper towels. In a saucepan, mix all the ingredients together (apart from the sesame seeds) and simmer gently while you fry your beef. Just before you’re ready to serve, add your toasted sesame seeds to the chilli beef sauce. Fill a small side dish with some of the sauce so you can use it for dipping and pour the rest over your fried beef. Stir well and serve. Chilli beef is best eaten as soon as possible! Yummy! Yummy! Great recipe. I marinated the beef in soy sauce before coating in the flour and it was great. Lovely crispy beef and flavoursome sauce, so thank you for posting. 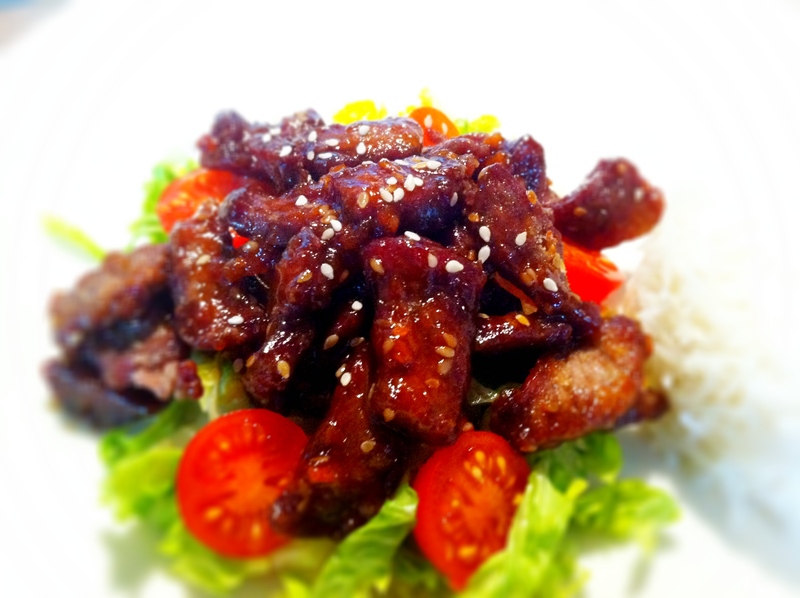 Best recipe I’ve come across for crispy chilli beef. worth a try! !